I'm on my Blank Quilting fabric rep trek and recently visited two Chattanooga area quilt shops. 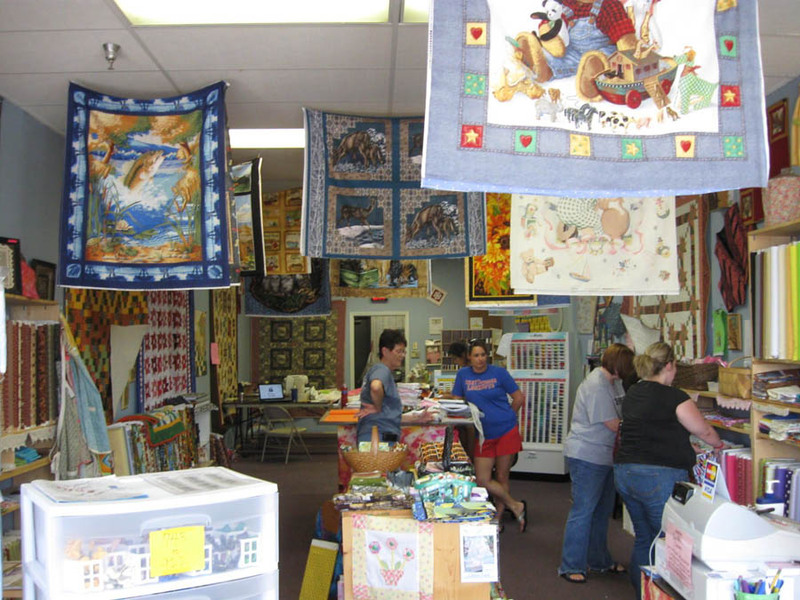 Hyderhangout, Quilts, Fabric and More, located in Cleveland, Tennessee and Sew Notions, a Quilt and Material Shop, in Jasper, Tennessee. You can't miss the large "Quilt Shop" sign above Hyderhangout in Cleveland, TN, a town northeast of Chattanooga. 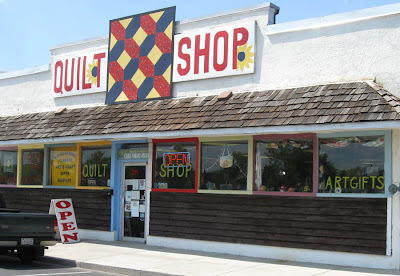 This quilt shop has an eclectic selection of quilting and needlework notions, quilting fabrics, sewing fabrics, patterns and books. Susan, the owner, started off small and is now in her second retail location, outgrowing the previous one. She offers a range of classes and supplies for traditional quilting, surface embellishment, a Go Cutter club, Sit and Sew sessions, projects for fabric strips [jelly rolls], and a Summer Art Camp for kids. In addition to making quilts for family and friends, the staff of Hyderhangout told me about the charity quilts they make, including Clown Quilts, for several organizations. Fabrications pre-cut fabric strips from Blank Quilting will be arriving soon at Hyderhangout for an upcoming fabric strip event in July. Contact Susan for details. 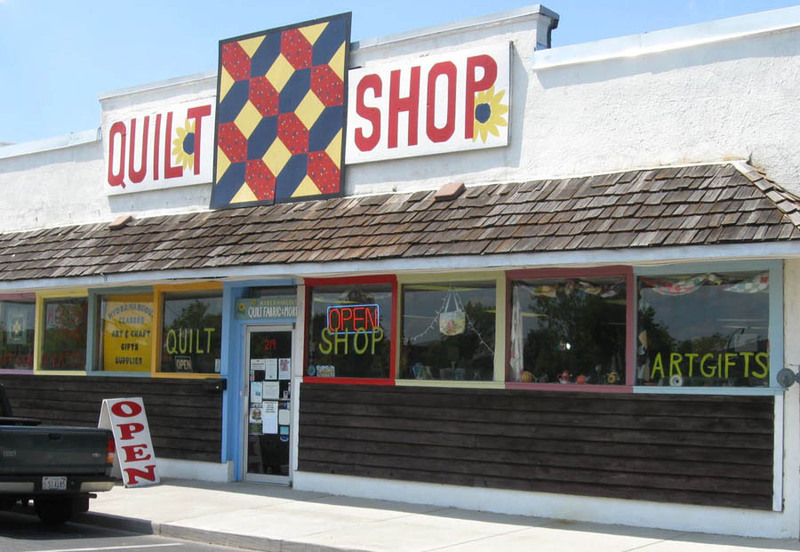 Within a block of the shop, you'll also find The Museum Center at Five Points, which holds an annual Stitches in Time quilt exhibit from January through March. Heading northwest on I-24 from Chattanooga is Sew Notions, in Jasper, TN. 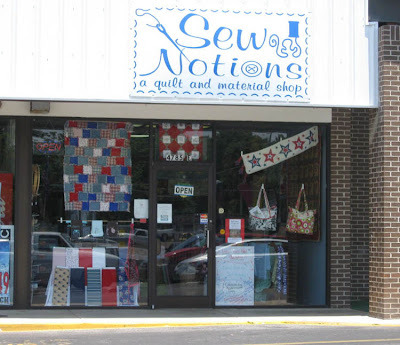 Conveniently located in the Ingle grocery store shopping center, Sew Notions has plenty of parking outside. 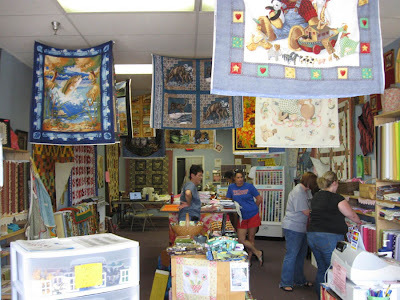 Michelle, the shop owner, and her staff greet customers that enter the font door and the quilts adorning the walls and hanging from the ceiling provide a welcome setting. Quilts hang on the walls and from the ceiling at Sew Notions. Michelle eagerly provides assistance to customers who are looking for specific fabric prints or colors, and answers questions they may have about the quiltmaking process. For the non-quilter, she offers quilt making services such as making T-shirt quilt tops and flannel baby quilts that can be purchased at the store. Brianna helps at the cutting table and the register. Michelle is assisted in the shop by her sister and niece. Brianna, her niece, recently made her first quilt and was proud and excited to show it to me. During my visit, the staff was making plans for a booth at an annual arts and crafts fair in Bell Buckle, Tennessee this fall. 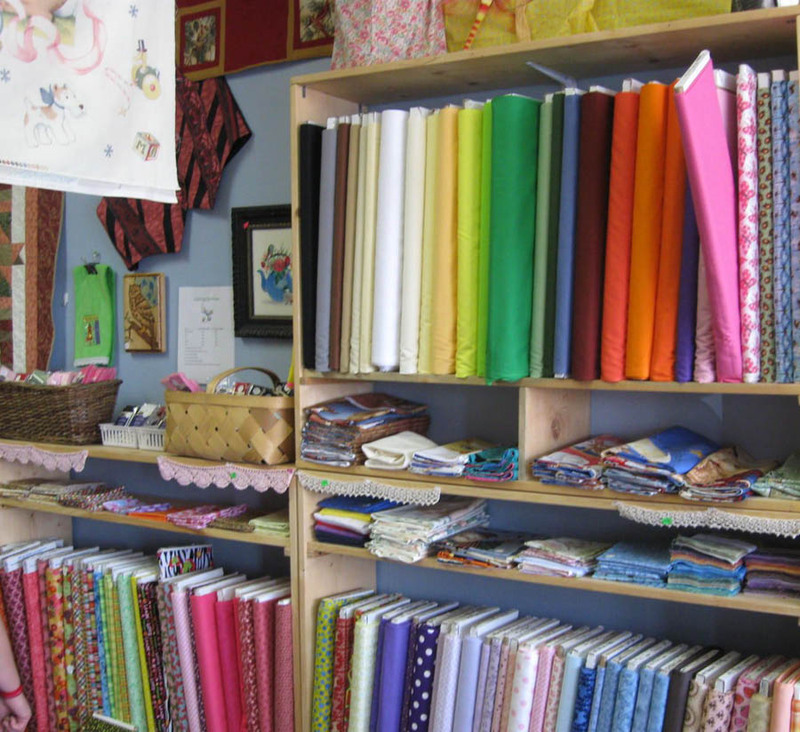 A selection of solids, novelties and prints are found at Sew Notions. Michelle's propensity toward bright, lively colors is evident in the fabric offerings in her shop. Prints mingle on the shelves with florals, dots, stripes and solids. She is also mindful of her customers' preferences and will ask for opinions when deciding on a fabric purchase for her store. Look for some fun, colorful novelty prints at Sew Notions in the near future and the ever-so-popular Fabrications 2.5-inch fabric strip collections from Blank Quilting. Do you have a Lasagna quilt in your future??? You should!